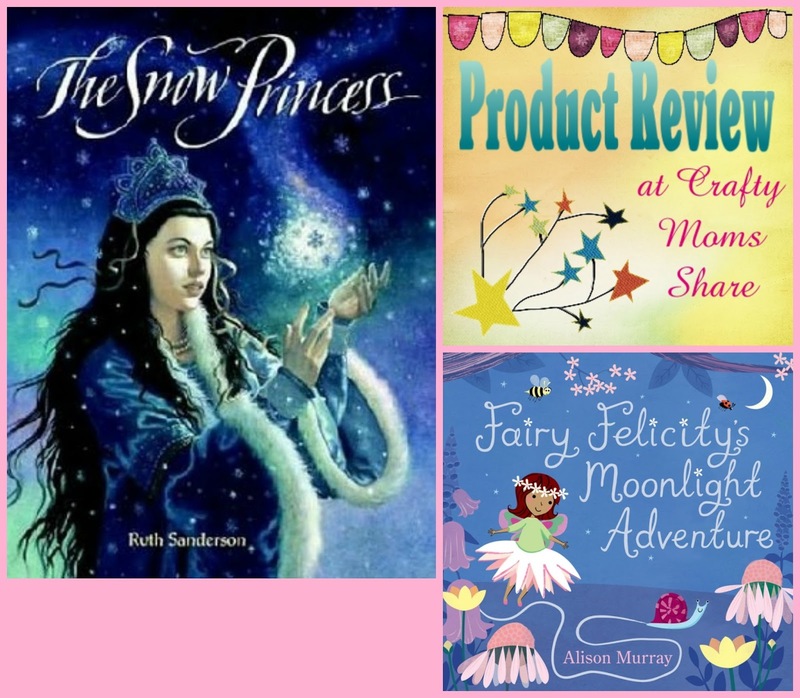 Today we are going to share two fun books that are right up among our favorites especially since they are about our favorite topics--fairies and princesses (fairy tale). 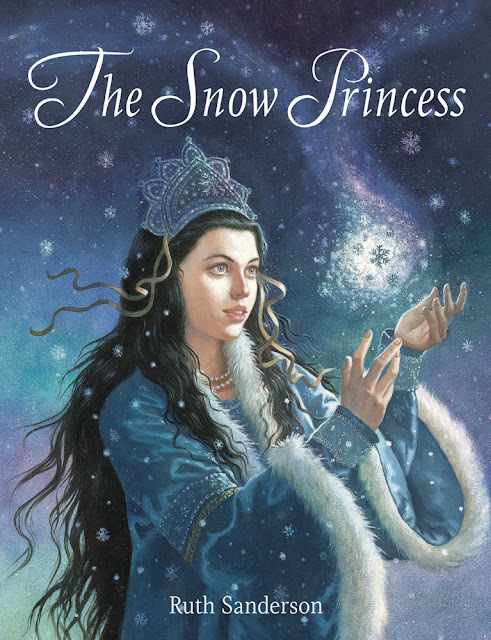 We will start with The Snow Princess retold and illustrated by Ruth Sanderson. 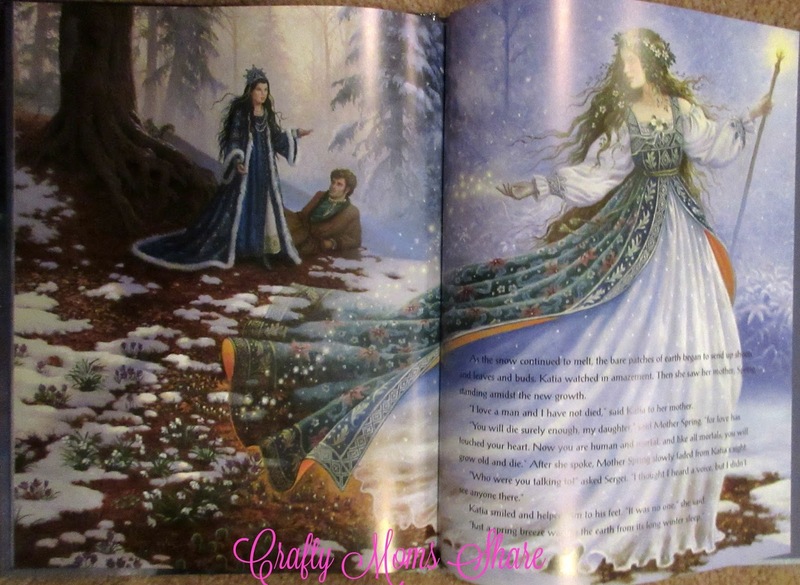 This beautiful fairy tale was inspired by a Russian opera. Before I share about this wonderful story, let me tell you about the gorgeous illustrations which are Ruth Sanderson's oil paintings. 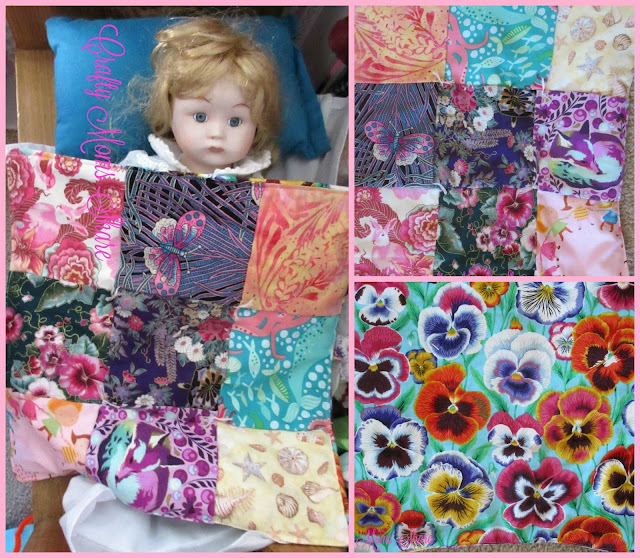 My pictures do not do them justice!! You can see some of them on her website though!! 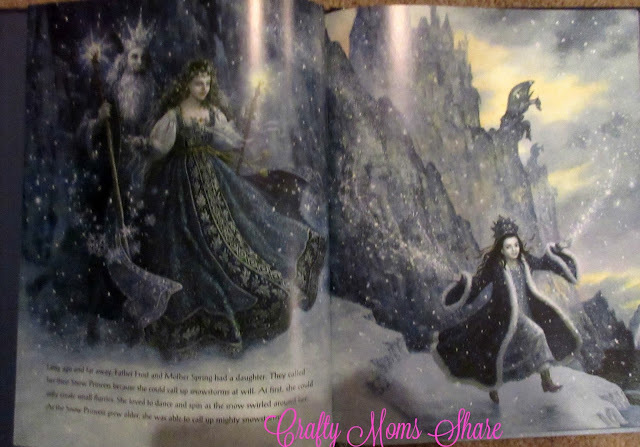 Father Frost and Mother Daughter had a daughter whom they called Snow Princess. She could call up snowstorms at will. When she grew she wanted to see the world. Her parents warned her to never fall in love or she would die. She went out to see the world and she traveled with polar bears, reindeer, wolves and snowy owls. She really wanted to see people however and ventured near a village. There she spied a family and stayed and watched the children play and the older brother worked and played with them. She learned the older brother's name was Sergei. The Snow Princess began to follow him and some of his friends. To know the rest of the story you will have to read it. This tale is a beautiful love story. It has the magical elements of fairy tales as well as the beautiful paintings that show a bit of the culture of the story. It is a must read fairy tale. 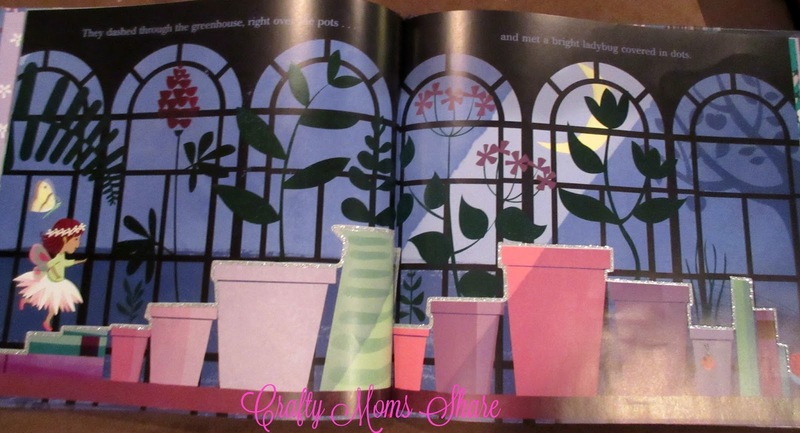 Our second book is a fun tale about a little fairy. 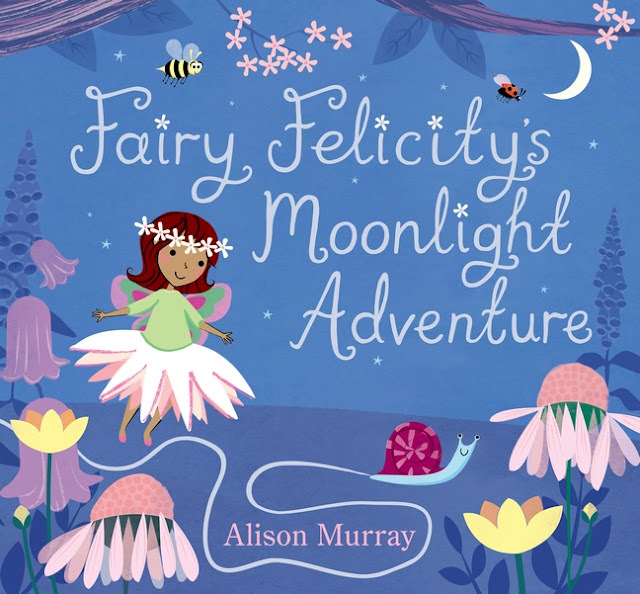 Fairy Felicity's Moonlight Adventure written and illustrated by Alison Murray. 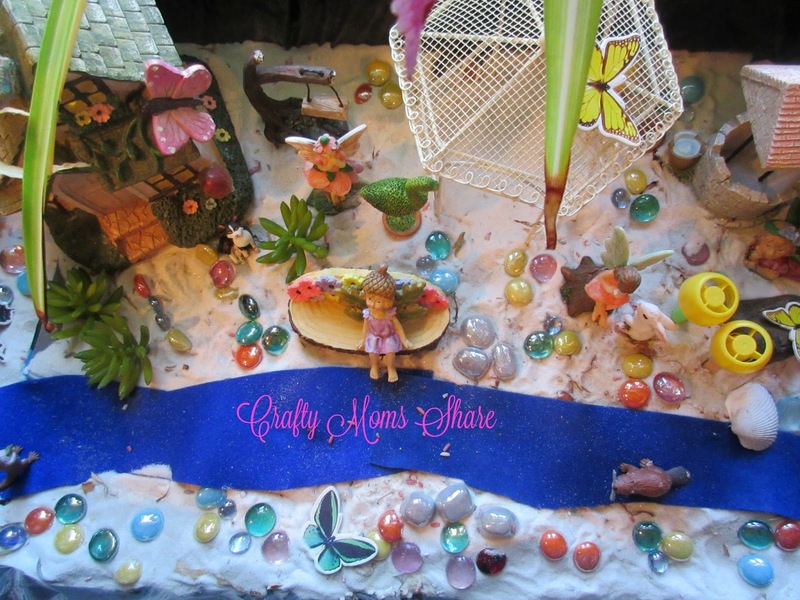 In this sweet story, Fairy Felicity receives an invitation one night. The invitation tells her to follow the silvery trail of the snail. Throughout this story there is a glittery trail for Felicity to follow. Hazel loves tracing it with her finger. She meets and sees many fun creatures along the way like the ladybug in the picture above. The creatures join the surprise at the end with the other fairies. It is a sweet and simple story that includes a fairy party. 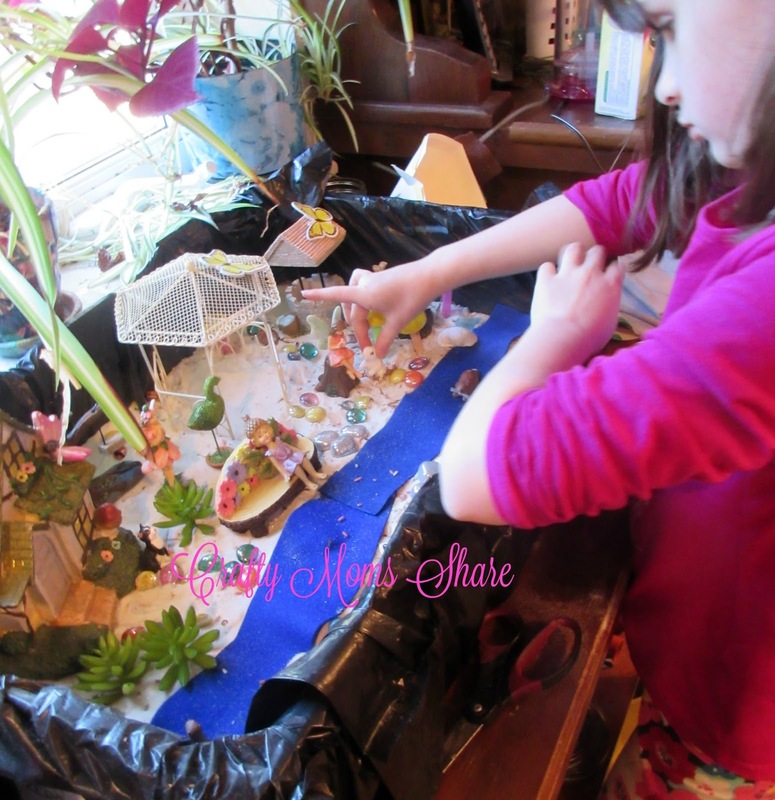 She spent a good bit of time playing with the new fairy garden. 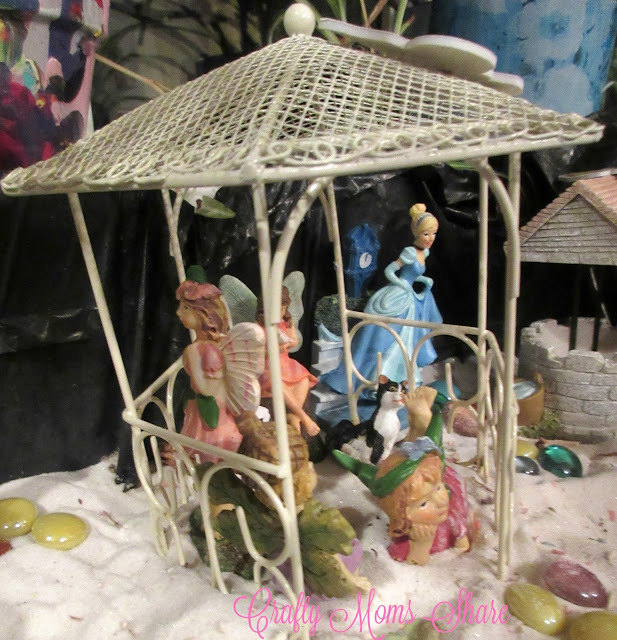 I don't know if she was retelling this fun story, but in the end I found her fairies having a party in the gazebo. Needless to say she loved both of these books and this change to her sandbox. I hope you will check these books out and enter a magical world! !